A common question I hear is how to shop for furniture and decor for your home. You don't know where to shop. Or you don't know what to look for. And you certainly don't want to spend hours looking. It's super easy to get overwhelmed with all the home decor options out there. A short year ago I had those same feelings you're likely feeling right now too. Overwhelmed and frustrated and afraid you'll make a mistake. I discovered there's an easier way. You don't have to spend hours shopping to find the right pendant light, coffee table, or whatever it is you're looking for. Pinterest has a wealth of images for any kind of style you could imagine, which makes it a perfect source for inspiration. If you're lost when it comes to decorating your home and you need more direction as to what your style is, I always suggest creating a Pinterest board if you haven't already, and pin at least 20-40 images that you absolutely LOVE and could picture yourself living in. Here's an example of my Pinterest board that I made when I first set out to find my signature decorating style. Many of the elements you see throughout my Pinterest board are also spotted throughout my recent living room makeover. The whole idea behind creating an inspiration board and pinning images of rooms of you love is to find out what you're drawn to and eliminate all other options. You should see recurring themes when looking at your overall Pinterest board, whether it's colors, styles, patterns, textures, wood tones, etc. These are elements that make up your style, and elements you want to look for when shopping to implement in your home. For example, when I was redecorating our living room and shopping for new furniture and decor, I looked for elements like rustic wood, blue colors, cognac leather, furniture with clean lines, and nautical touches because those were some of the elements that made up my decorating style. The key is to minimize your options before you even begin shopping. You should know exactly what you're looking for, that way you aren't wasting hours of time. If you're looking for a new kitchen pendant light, you should have a good idea of the style you want, the size, the color, and price range. If you don't know your style elements or you need help figuring them out, my course will teach you exactly how to do it step-by-step. Pinterest has a wealth of inspiration, but it's also great for sourcing products, thanks to a little magic tool. Ever wonder where to get that awesome pendant light or those cool bar stools you see in one of your pins? 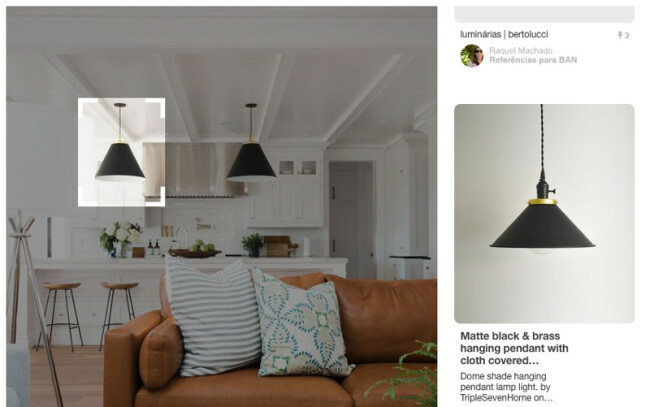 Using the Pinterest visual search tool, you can select the part of the pin you're interested in (pendant light), and it will show you visually similar results, oftentimes the exact match of the product. So helpful, right?! Click on the pin you want to learn more about. Then, in the upper right hand corner is a little magnifying glass icon. Click that and select the part of the pin you want to know more about by adjusting the box. The visually similar results will pop up on the side! It works best if you can get a clear selection of the item without a busy background or other items overlapping the part you are trying to select. This tool is super helpful if you want to find a similar item, or if you don't know the words to describe the item you're interested in. You can use this tool with your inspiration board you created to source pieces you like and it will pull up similar items in seconds! 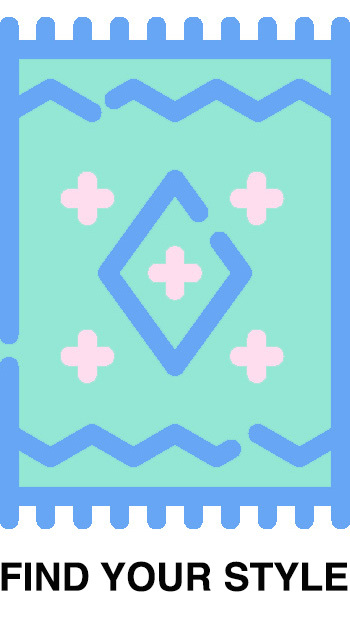 It seriously saves you so much time from hunting down all the items yourself. I only recently discovered this trick and wish I had known about it sooner! These 3 tips will give you a much better idea of what to look for when shopping and save you hours of time. If you want to learn even more about finding your decorating style (this was just a fraction of what's actually involved with finding your style! ), click here. Which tip did you find most helpful? Have you used the Pinterest visual search tool before?